Karnataka Electronics (Keonics), the pioneers of IT infrastructure development developed Electronic City over 332 acres of land area in Bangalore. The region rapidly established itself as the IT Hub of the country. The region has a presence of well-recognized educational institutions, commercial centers and enjoys so bust connectivity with the rest of the city. The region is divided into three different phases namely, Phase I, II and III. Surrounding areas of the region consist of HSR Layout, Kammanahalli, Bommanahalli and Bilekahalli. It has proximity with numerous IT hubs such as Wipro, Tech Mahindra, Tata Consultancy Services, Hewlett-Packard, Infosys, HCL Technologies, Siemens, and Genpact. BMTC and BIAL buses serve the locality. Metro Phase II will increase the connectivity features of this area. Real-estate developers are offering a wide range of housing options to the home seekers of the region. The government’s smart city project has its testing ground in its region making it a sought after residential location among the residents. The large tract of open grounds and its well-planned layout makes it a hotspot for property development. The first phase of the region has saturated and the second phase developments have commenced. The high growth in property prices and great growth potential places this region high on the list of home seekers and investors looking for valuable property in Bangalore. 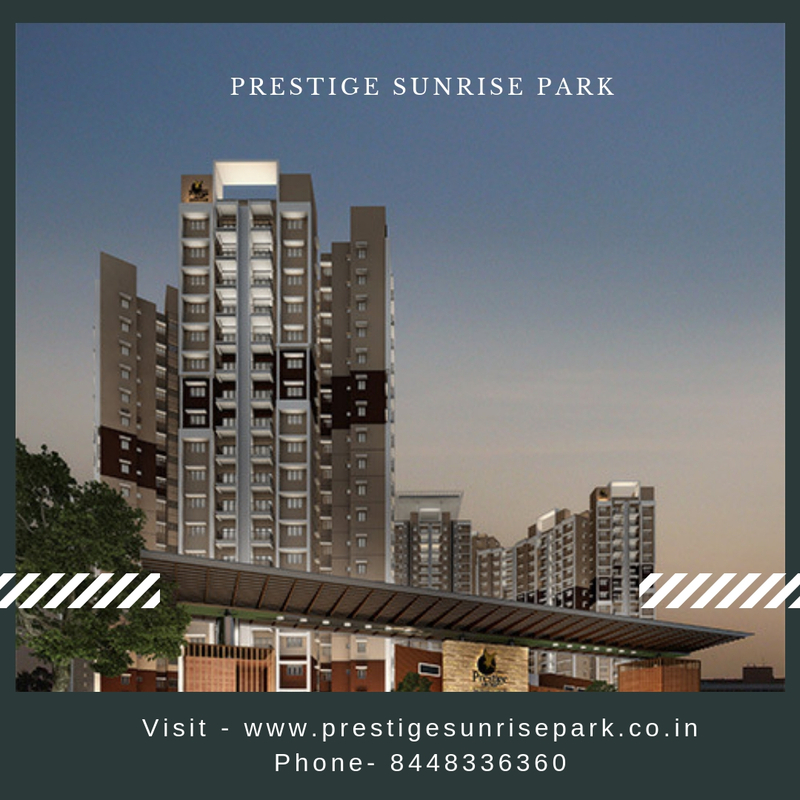 Sprawling over 25 acres of prime land the mesmerizing estate of Prestige Sunrise Park incorporates lavish residences, green landscapes, and world-class amenities. The 2 blocks namely Birchwood and Norwood comprise of a total 15 residential towers. 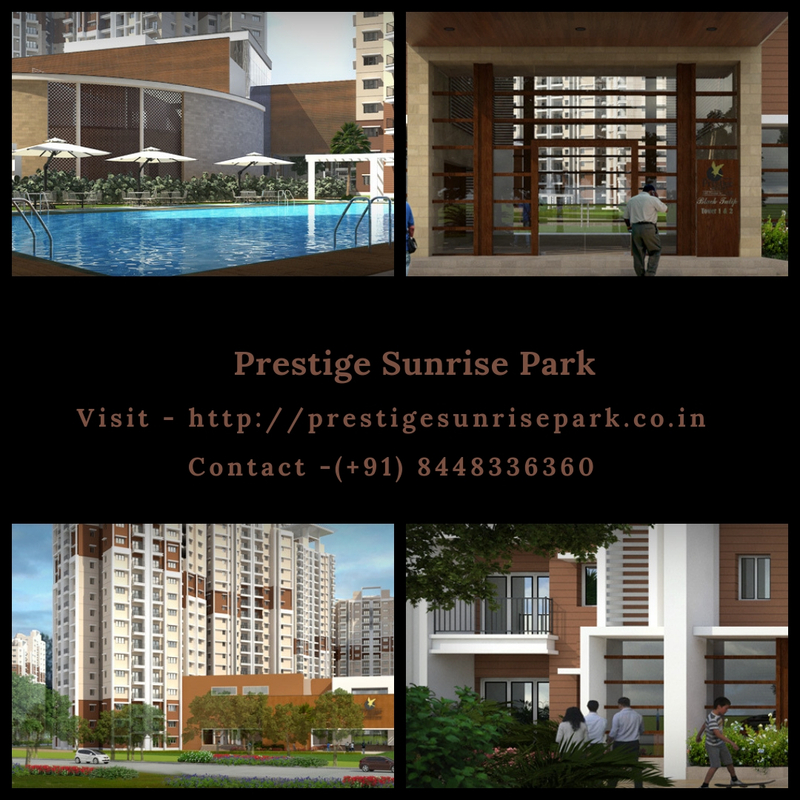 It offers 1.5, 2.5 and 3 BHK lavish residences spanning over an area ranging from 1007 sq.ft. to 1615 sq.ft. Prices of these spacious abodes are set in the range of Rs. 50.85 lakhs to Rs. 83.17 lakhs. Amenities included in the estate are a clubhouse, meditation center, tennis court, indoor games, lifts, 3-tier security, convenience store, theatre, gym, swimming pool, kids’ play area, daycare center and more. Residents are benefitted by the provisions for constant water supply, car parking, power backup, etc.